It's almost that time again! That's right, it's almost time for the Feast of Swords! Normally, this Far Eastern festival is a time to honor the growth of young boys by dressing them up in armor and having them parry back and forth in mock battles. Oh, and let us not forget all the tasty treats that accompany the festivities. The Egg Hunt Egg-stravagana is a yearly event where adventurers collect special items known as "initial eggs" and try to form various combinations of letters. 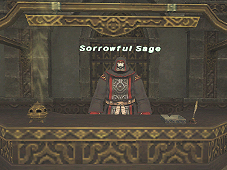 Every port of Vana'diel is abuzz with rumors of the new prizes being offered during this year's event. One of these prizes is the curious "egg helm." Crafted by the finest goldsmiths, these helmets were commissioned by renowned gourmand Royaulais Chalaimbille II, Twelfth King of San d'Oria. They were created for the sole purpose of properly equipping his "Soft-boiled Knights" as they quested for the most delectable eggs in the kingdom. The second prize is rumored to be the exquisite "jeweled egg," a scintillating masterpiece crafted with the most advanced refraction techniques the Grand Duchy of Jeuno has to offer. Recreate the egg hunts of the past with your own band of soft-boiled knights and see how many letter combinations you can make! Before you know it, you too could be standing proud--or at least standing--with your very own egg helm! *Newly created characters must wait at least one Vana'diel day before they can receive an initial egg. Try trading any type of "egg" to a moogle. Once every Vana'diel day, you might find that the moogles will gift you with an initial egg in exchange for a "normal" egg. 2. Make a "First 3" Combination! First of all, try collecting the initial eggs required to make a "First 3" combination. Once you have the eggs you need, trade them to a moogle to receive your prize! For egg-sample, a character with the name of "Moogle" would need to collect one [M], and two [O] initial eggs. 3. Take it to the Next Level! Once you've made a First 3, why not try something more difficult, like an "Initial Straight 8", or a "7 of a Kind"? And for those of you who are looking for a real challenge, try discovering different, more egg-citing combinations. Maybe you'll find the right combination to take home the coveted "jeweled egg"! *Don't forget that you'll have to trade in a "First 3" before you can trade in any other combos. Think of it as a sort of preliminary test! For egg-sample, a character with the name of "Moogle" would need an [M], as well as an [N], [O], [P], [Q], [R], [S], and [T]. For egg-sample, you could choose to collect seven [A] initial eggs. The moogles are usually egg-stremely reluctant to give out any of their classified information, but maybe if you are persistent enough, one will let you in on a secret or two! Make it a point to talk to them as often as possible! This event is scheduled to commence on April 2, 2007 at 1:00,and will last until April 16, 2007 at 1:00 (PDT). The version update scheduled for Thursday, March 29th will finally unlock the gates to the exciting world of chocobo racing! Now, players from across the globe will have the opportunity to test their chocobo's abilities on the racetrack against some of Vana'diel's most skilled riders. 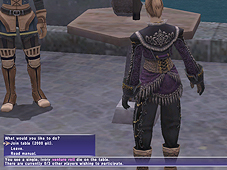 Last summer and fall, several surveys regarding chocobo racing were conducted from premiere FINAL FANTASY XI sites in Japan, North America, and Europe. The development team then took these valuable opinions and used them to create exciting new content that focused on what the players wanted most. Due to the fact that chocobo racing is completely new to FINAL FANTASY XI, much time has been necessary for development and testing. Because of this, we have determined that rather than delaying the release of the content, it is better to release portions of it at a time, thus allowing players to experience some of the features right away. - What is Chocobo Racing? The newly added racetracks are the perfect place to test out and show off your very own chocobo's skills. These automated races will require you to piece together a picture-perfect plan based on variables such as chocobo condition and the weather, using options consisting of orders given to your jockey and items to be utilized on the track. But that's not all. Performing well in these races will earn you gil or VCS-mint chocobucks, which can be used to purchase items or services that will assist you in breeding. First, you must be raising an adult chocobo or have one out to pasture and possess its VCS registration card. 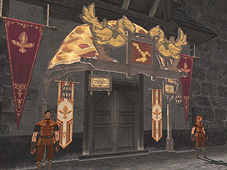 Next, you must visit one of the CRA's (Chocobo Racing Association) branches located in San d'Oria, Bastok, and Windurst, and register your chocobo to race. By successfully completing the objectives of these "mission-style" races, more challenging races will be unlocked. Can you clear them all? Free runs are "practice" races that may be run at any time (for a small gil fee). By placing in these races, you will receive chocobucks that can be used to purchase items or participate in higher-level official races. Use these practice races to hone your skills and save up funds. Click here to download exclusive footage of the races! The exciting new Chocobo Racing feature has been introduced! The names of certain monsters appearing in Nyzul Isle have been changed. An event during the quest �Promotion: Chief Sergeant� progressing in an incorrect manner under certain circumstances. An incorrect message being displayed when talking to the NPC Shahayl in the Nyzul Isle staging point. 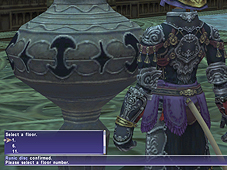 An incorrect message being displayed when talking to the Chocobo Racing Association NPCs in San d�Oria, Bastok, and Windurst. The effect of the monster ability �Granite Skin� not functioning as intended. The physical blue magic spell �Disseverment� being incorrectly classified as a magical effect and being usable with the �Burst Affinity� ability. The inability to place other furnishings on top of the �wardrobe� item when using the Layout function in your Mog House. The item help text for �gil� not being displayed. The top Auto-Translate Dictionary entry under Text Commands in the French and German versions being blank. If this entry was selected, only the red and green brackets would be displayed. The game occasionally freezing when displaying a message in the Friend List. * For the update details, please refer to "Topics" on the official PlayOnline.com web site or PlayOnline Viewer which will be available on Wednesday, Mar. 28, 2007. - Addition of Chocobo Racing system. The many new items and recipes from the March 6 FFXI patch are found in this site update, along with other changes and additions. These are detailed fully in the March 2007 FFXI Patch Compilation of Info. 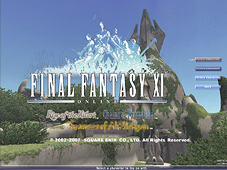 At the following time, we performed a version update of FINAL FANTASY XI for the Windows version. * This update consists of a version upgrade of the client program. When you press the play button after the time stated below, the version upgrade will begin automatically. Please follow the instructions on the screen. - Addressed an issue where the FINAL FANTASY XI shortcut icon was not functioning. - An issue wherein players were unable to attack nor cast spells during the "Azure Experiments" assault has been addressed. - Notorious Monster "Pallas" will now summon pets to aid him during combat. - The wrong World would be selected during the character creation. - Level requirement for the item Warrior's Mufflers was changed from 72 to 75. - An issue where an incorrect recast timer would be displayed when the "Drain II," "Dread Spikes," or "Magic Hammer" spells are cast by a player who has Samurai as a support job, under the "Seigan" and "Hasso" effects. - An issue with the "Azure Experiments" assault wherein cancelled an NPC conversation event would prevent players from advancing the assault. - Players could receive the "Inspector's Gadget!" quest before completing the "Know One's Onions" quest. - Thief's job ability, "Aura Steal" may sometimes cause a forced termination on both the ability user and nearby players. - A program issue that caused "gil" to be displayed as "gils" in auction house-related messages. - Addressed a Chocobo Hot and Cold game issue wherein obtaining a certain chocograph before the Mar. 8 2007 version update would prevent the players from obtaining other chocographs. * If you have obtained any of these chocographs without fulfilling the requirements, please talk to the NPCs who are issuing them to have them be removed from your key item list. - An issue was addressed where players were able to obtain a certain license in the Chocobo Hot and Cold Game without fulfilling all the requirements. -We addressed an issue, where the notorious monster "Pallas" would spawn unclaimed. 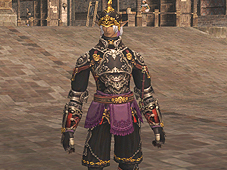 The March 6, 2007 FFXI update brought changes including new Aht Urhgan missions, new sets of weapons and armor, new Rare/Ex versions of older items, and more. This compilation of info reflects the additions and changes from the March 6 patch, and the following March mini-updates. More new recipes have been added, and others updated to the known recipe data. All of the icons are now in for the new items. The item icons have been updated for all items, new and old, reflecting the Updated Items that had their icons changed. The new Furniture has been updated, with furniture stats and sizes for most of those items. This Compilation of Info will be updated as further data is available. New Aht Urhgan missions have been added. - Level 7 Besieged has now been released. Accordingly, the maximum value for enemy forces has increased to 170. - New Notorious Monsters and Level 7 units comprised of new creatures will now appear during Besieged. - The variety of temporary items distributed at the beginning of every Besieged has been expanded. The availability of these items will depend on which NPCs have been taken captive and the overall condition of the Imperial defense. - The Serpent Generals have each received unique new combat abilities to use during Besieged. - There are now new chocograph areas available in which to play the Chocobo Hot and Cold Game. *To obtain the new chocographs, players must first succeed a number of times in discovering treasure in the existing areas. *Players will find the number of times they can dig in the new chocograph areas will be less than existing areas. - When digging with a tired chocobo in a location where treasure is buried, there is a chance that you will �hit the jackpot.� If this happens, it will be possible to discover the treasure chest in your next digging attempt. *After �hitting the jackpot,� the subsequent digging attempt does not count towards the maximum number allowed. - Items obtainable in the prairie chocograph and bush chocograph areas have been adjusted. - Your chocobo�s general digging ability will now be improved when successfully discovering treasure. *The amount the ability improves varies with the chocograph area. *The exact value of the ability increase will not be displayed. The new mercenary rank �Chief Sergeant� is now attainable. Players with the rank of Chief Sergeant will have access to new items in exchange for Imperial Standing credits. - Five new Assault missions have been added for players with the rank of Chief Sergeant. - The new Assault area �Nyzul Isle� has been released. A reception counter for Nyzul Isle Assault missions has been opened within the Commissions Agency in Aht Urhgan Whitegate. 1. Sign up at the Commissions Agency as you would for a normal Assault mission, then enter the Assault area from the Nyzul Isle staging point. *Players cannot impose a level restriction on Nyzul Isle Assault missions. *Players do not earn Assault Points for missions completed within the Nyzul Isle Assault area. 2. The Nyzul Isle Assault area will be randomly generated as a series of "floors" every time you begin a mission. After entering the area, you will be required to use the Rune of Transfer to select a floor. 3. After being transported to the destination floor, your mission objective will be relayed to you through the Rune of Transfer. 4. After completing the mission objective for a particular floor, the Rune of Transfer will be activated. You will then have the choice to proceed to the next floor, or end the mission and exit the Assault area. Your mission will be considered a success when you exit the Assault area in this manner. At this point, you will be able to record the number of �tokens� (the equivalent of Assault Points for Nyzul Isle) you are entitled to, as well as the highest floor you have reached. *Only the person who operates the Rune of Transfer on the starting floor will receive the recorded floor data. *All participants will obtain tokens from a successful mission. When using the Rune of Transfer to exit the Nyzul Isle Assault area, it is possible to record the data of the highest floor you have reached (in blocks of 5 floors). Once this data has been recorded, you will be able to start again from this point. The player with command of the mission must decide whether it is possible to record a new highest floor within the time remaining, or choose to exit the area and collect the spoils for a successful mission. Players that are forced to leave the Assault area due to an expired time limit, or leave the area using other transportation magic will not be eligible to record floor data or receive tokens. *Starting from a recorded floor will require the use of "tokens" obtained within the Nyzul Isle Assault area. The further you progress, the more tokens you will need to begin the next block of floors. A new mini game called �Venture Roll� is now playable on �Game Tables� found in the areas listed below. Two to four people can play Venture Roll, with the winner walking away with the combined participation fee. *The participation fee varies from 300 gil to 10,000 gil, depending on the area. The NPC that extends Mog Locker leases will now accept more than one Imperial bronze piece at a time. New quests have been added to the Treasures of Aht Urhgan areas. - A job level requirement has been added to the quests listed below. 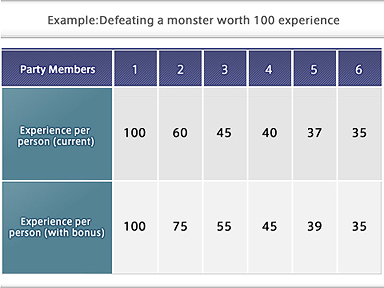 The required level varies from quest to quest. -A new level requirement has been added to the quest �An Explorer's Footsteps,� and the once-a-day offer restriction has been removed. A Chocobo Racing Association NPC has been placed in each of the three main nations. An NPC who will mark important locations on your map can be found in the areas listed below. An NPC with airship and ferry arrival/departure times has been placed in the areas listed below. Players will no longer lose experience points when KO�d in Chain of Promathia mission battlefields. There is now a smaller chance for the �Large Apparatus� to malfunction when traveling to Tu'Lia via the Hall of Transference. It is now possible to seal memories and reset Promyvion missions using the �Shattered Telepoint� found at the crags. It is now possible to speak to your Fellow and find out how many enemies you have defeated since your Fellow was summoned. New monsters have been placed in the Treasures of Aht Urhgan areas. The location of certain monsters in the Bhaflau Thickets has been changed. An issue where the �Aht Urhgan Attercop� in the Wajaom Woodlands would not link with other monsters of the same type in combat has been addressed. The strength of certain monsters in the Grand Palace of Hu'Xzoi and the Garden of Ru'Hmet has been adjusted. The following bonuses have been added to the Signet effect. The initial value for Healing HP (based on the character�s level), as well as the incremental jumps in Healing HP (based on the character�s maximum HP), will be increased. While this bonus is in effect, TP will not be lost while resting. The amount of experience earned while in smaller parties will be increased. *This bonus does not apply to select monsters, such as the Flesh Eaters in Attohwa Chasm or the Hippogryphs in Riverne - Site #A01. If an auto-attack target is an �even match� or weaker, players will gain a bonus to their defense and evasion against the monster. This bonus only applies to attacks from an opponent who you are auto-attacking with a drawn weapon. No bonus will be obtained when attacking in a manner other than auto-attack, or when being attacked by monsters that unexpectedly join the fray. *The bonuses described above will only take effect when a player has received Signet, and is within the usual Signet-specific areas. *These bonuses do not apply during Ballista, or other PvP events. The following adjustments have been made to the merit point system. - A graphic effect visible to other players will now be displayed when a character obtains a merit point. - It is now possible to switch from experience point mode to limit point mode outside of your Mog House. *Players cannot switch modes while under a level restriction, or when participating in Besieged. *It is still only possible to allocate merit points while in your Mog House or Rent-a-Room. The following changes have been made to paladin job abilities. - The message displayed when using �Sentinel� has been revised. The following new spells have been added. DRK Steals an enemy's HP, potentially increasing maximum HP. Ineffective against undead. DRK Covers you with magical darkness spikes. Steals HP from enemies that hit you. Ineffective against undead. *The effect of Dread Spikes will be adjusted during PvP. *The dark knight will still be KO�d if a single attack inflicts an amount of damage that exceeds his remaining HP. 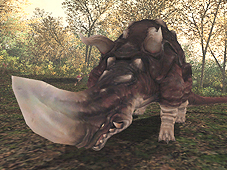 The enmity gained when using �Chocobo Mazurka� or �Raptor Mazurka� has been reduced. The incorrect range for the blue magic spells �Wild Carrot� and �Magic Fruit� has been adjusted. - The diminishing probability for the samurai job ability �Seigan� to maintain the effect of �Third Eye� has been adjusted. - Player resistance built up towards the continued use of spells and abilities with the �Bind� effect has been enhanced. The equipment storage NPC will now accept sets of relic armor. Players will now be able to obtain �Card Cases� for carrying up to 99 corsair cards as one item. Players can now obtain a �virtue stone pouch� containing 99 virtue stones from the relevant NPC. - The method for obtaining the items listed below has been adjusted. - The items listed below can now be obtained through different methods. - The �Lock of Siren's Hair� will be removed from the treasure dropped by the following Notorious Monsters. - Certain items obtained from the Notorious Monsters holding the �Virtues� in Lumoria will now drop with 100% probability. The message displayed with the Physical damage: "Curse" effect of the Igqira set has been revised. The system that required a �World Pass� to choose the world on which to create a character has been removed from the game. It is now possible to freely choose the world on which you wish to begin your adventures. *You will also be able to choose the World in which you wish to create subsequent characters. *World Pass NPCs in the three main nations will now only deal with Gold World Passes. *The Gold World Passes used in the New Adventurer system will still be issued. To avoid congestion, players will now appear in a slightly different location when exiting their Mog House into Aht Urhgan Whitegate. The probability for fishing up items other than fish has been adjusted. The location of the �Downloading data� message in the help window has been adjusted. Languages Can you speak German? Languages Can you speak French? Languages I don't speak any German. Languages I don't speak any French. game to freeze. This issue is only present in the PlayStation(r)2 version. will be displayed. This issue is only present in the French and German versions. The Chocobo Racing system announced on the FINAL FANTASY XI official homepage is scheduled for release towards the end of March. - The Friend Search screen's layout has been drastically changed. - The PlayOnline Chat Room Search screen's layout has been drastically changed. - Several items have been added to the Interests section in Handle Profile. - The graphics representing Group Masters and Group Sub-Masters on the Friend List have been changed. Also, a display of a group friend's rights has been added to the menu displayed when clicking on a group friend. - The graphics on the bottom right side of the screen that read "Online" or "Now Loading" have been unified into one graphic. - Various graphics and screen layouts have been changed. - The "Disconnect automatically after version update" checkbox on the version update top screen has been deleted. - An issue was addressed where handles could not be created when trying to create a handle while offline. - An issue was addressed where selecting "Log out" after sending a group invitation to a friend already in 4 groups would cause the Viewer to freeze. - An issue was addressed where, when sending or receiving mail under certain circumstances, an error occurs but does not appear. - An issue was addressed where sorting files on the File Manager screen would use different criteria than the ones entered. Other minor issues were addressed. * We will be making a change to the "World Pass" system. After the maintenance, you will be able to select the designated World for your new characters. For those of who are considering being issued a "World Pass" prior to the maintenance, we recommend that you use the "World Pass" before the maintenance goes into effect. You will still be able to be issued a "Gold World Pass" even after the maintenance. * For the update details, please refer to "Topics" on the official PlayOnline.com web site or PlayOnline Viewer which will be available on Mar. 7, 2007. * Also, chocobo racing has been excluded from this version update for further testing, and is scheduled to be implemented at end of March. More details will be announced when they become available. We apologize for the inconvenience. PlayOnline: World Selection Made Easier! 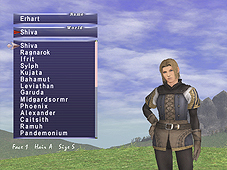 Starting March 8, 2007, players will be able to create new characters on the World of their choice. Up until now, Worlds would be randomly assigned to characters upon their creation, while only players with World Passes could join their friends. However, with this new adjustment, all players, even ones without World Passes, will have the option to select their realm at the character selection screen. Originally, the World Pass system was introduced to maintain a balance among all the Worlds and prevent overpopulation. However, with the continued stablization of each World's adventurer community and recent technical advances in server technology, it has been determined that allowing players to create new characters on Worlds of their choice would not greatly affect the current population balance. 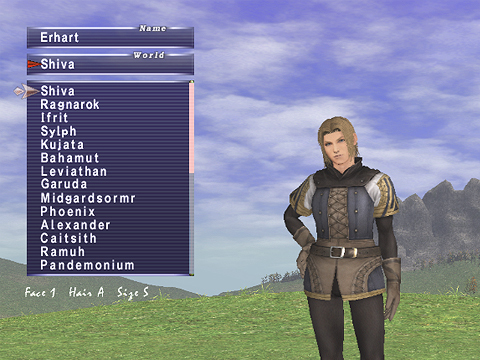 In conjunction with this change, we have updated the character creation screen to include a new pull-down window from which players can select the World of their choice. Also, additional characters added to an account will no longer be automatically assigned to the same World as the first character. Players will be free to choose where they wish that new character to reside, be it the same World, or a completely different one. Finally, the development team is continuing their work on World selection by making preparations for a new service that will allow players to move their characters to different Worlds. Please keep a close watch on the Topics page for further updates on this exciting feature. *While all World Passes will become void after March 8, 2007, Gold World Passes will continue to be distributed to players who wish to purchase them. Any adventurers who would like to invite their friends to Vana'diel can still utilize the Gold World Pass feature and take advantage of the special benefits this unique system has to offer.